Published on January 09, 2017. 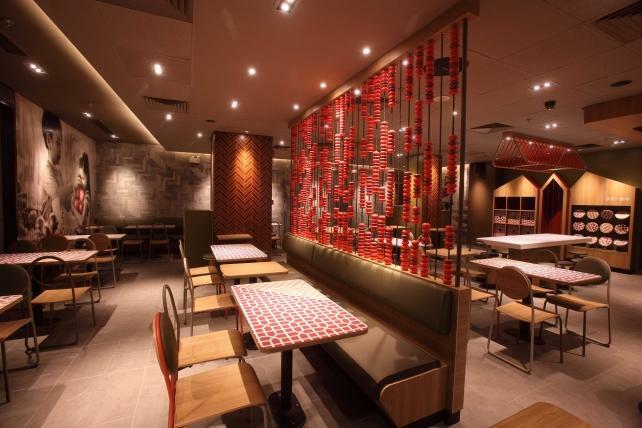 A Chinese-themed McDonald's in Guangzhou. McDonald's Corp. agreed to sell a controlling stake in its China and Hong Kong operations to a group of investors for about $1.7 billion, a key component of the fast-food giant's reorganization in a market where it's struggling to catch up with more nimble rivals. Chinese state-backed conglomerate Citic Ltd., Citic Capital Holdings and U.S. private-equity firm Carlyle Group will acquire an 80% holding in a deal valuing the business at as much as $2.08 billion, according to a statement Monday. Oak Brook, Illinois-based McDonald's will keep the remaining stake. The new owners plan to add more than 1,500 restaurants over the next five years in smaller Chinese cities. McDonald's and rival Yum China Holdings, which operates the KFC and Pizza Hut brands in the mainland, are among retailers that are trying to fend off domestic competition and attract middle-class Chinese consumers who increasingly demand high-quality and healthier dining options. As McDonald's streamlines its sprawling global operations, the fast-food giant is also looking at further deals in markets such as South Korea, Japan and Southeast Asia. Under the agreement, Citic Ltd. and Citic Capital Partners will jointly take a 52% stake, while Carlyle will hold 28%. "Citic and Carlyle's resources will allow McDonald's to expand rapidly and refurbish old restaurants, which is expensive to do," said Ben Cavender, a Shanghai-based analyst at China Market Research Group. "Given that McDonald's lags behind KFC in terms of store count in China, we can expect them to expand aggressively and invest heavily." McDonald's currently operates or franchises more than 2,400 outlets in mainland China. Its five-year target means about 300 stores will be added annually. That compares with 600 stores for Yum China Holdings, which was spun off late last year by Yum Brands, and 500 restaurants for Starbucks Corp., according to the companies. While Citic and Carlyle are paying a "substantial price" for 20-year franchise rights, the food and beverage chains are "cash machines," Mr. Cavender said. In contrast, Yum China licensed the KFC and Pizza Hut brands from Yum Brands Inc. for 50 years, with automatic renewals that could make it possibly indefinite. The McDonald's transaction is Carlyle's second-biggest deal in China, trailing only its investments in China Pacific Insurance Group Co., according to a person with knowledge of the matter. The U.S. private-equity firm invested a total of more than $700 million in China Pacific Insurance in 2005 and 2007, the person said, asking not to be identified because the information is private. A spokeswoman for Carlyle declined to comment. McDonald's CEO Steve Easterbrook is pursuing a turnaround plan to revive the company as it faces the fourth consecutive year of traffic declines in the U.S., its largest market. The China deal combines McDonald's with partners "who have an unmatched understanding of the local markets and bring enhanced capabilities and new partnerships," the CEO said in the statement. The new partnership will also focus on areas such as menu innovation, retail digital leadership and delivery, the statement said. McDonald's, which said in March it's seeking strategic partners in Asia, has committed to re-franchising 4,000 restaurants by the end of 2018, and has set a long-term target to have 95% of its outlets owned by franchisees. U.S. restaurant chains have seen their market lead in China challenged by a growing line-up of Asian competitors such as Ting Hsin International Group's Dicos eateries. The seller of Big Macs is also playing catch-up to Yum China, which has a carte blanche opportunity to pursue growth, its Chief Executive Officer Micky Pant has said.